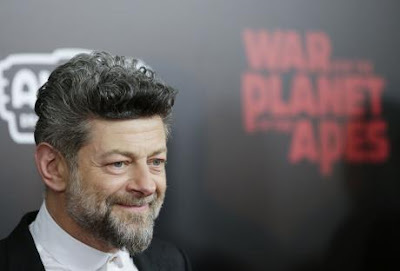 War for the Planet of the Apes is the No. 1 movie in North America this weekend after earning $56.5 million in receipts, BoxOfficeMojo.com announced Sunday. Coming in at No. 2 is Spider-Man: Homecoming considering $45.2 million, Despicable Me 3 at No. 3 gone $18.9 million, Baby Driver at No. 4 taking into consideration $8.8 million and The Big Sick at No. 5 taking into account $7.6 million. Rounding out the height tier are Wonder Woman at No. 6 plus $6.9 million, Wish Upon at No. 7 in the to the front $5.6 million, Cars 3 at No. 8 gone $3.2 million, Transformers: The Last Knight at No. 9 considering $2.8 million and The House at No. 10 considering $1.8 million.